A new official fee schedule has now been published which will enter into force on the 1st of July. It can be accessed here. For the most part, the increase merely reflects the annual inflation. 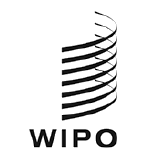 WIPO is generally regarded as as one of the best performing UN agencies and this seminar is surely a must-attend event for legal and business professionals with an interest in intellectual property. Of course you will be able to meet some of our experts there - please contact [email protected] if you want to arrange a meeting during the conference breaks. We are a firm that offers a full range of IP services, committed to providing comprehensive and innovative expertise, creating value to the benefit of our clients.